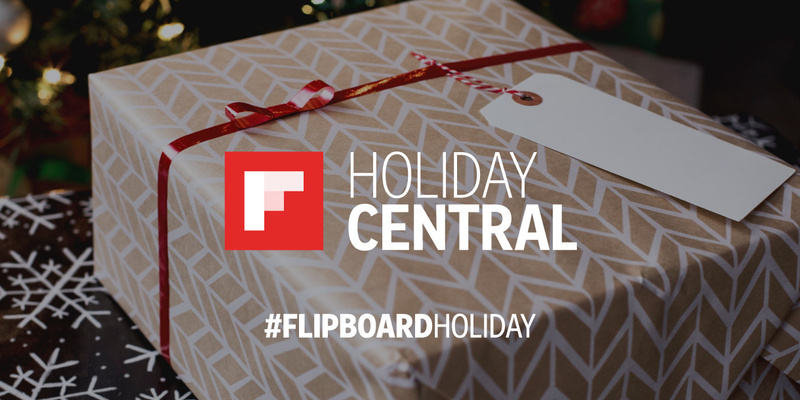 Join us on Tuesday, December 5 at 1pm PT/4pm ET for Flipboard’s Holiday Central Twitter event! We’re hosting another chat to discuss all things entertainment, style and gift-giving for this festive season. We are thrilled to bring our community together with InStyle, Consumer Reports and CNET to chat about your favorite traditions, what to get your loved ones, and ideas for how to give back to those in need. How to Host a Stylish Holiday by Instyle: Get ready for this joyous season with tree trimming, gift wrapping and outfits recommended by InStyle editors. Holiday Gift Guide from Consumer Reports: Daily expert picks for your shopping list. Be efficient on shopping trips and avoid busting your budget with these helpful stories. Gift Guide for the Holidays 2017 by CNET: Find the post-Black Friday and Cyber Monday deals to save you money on stocking stuffers, gadgets and gifts for the whole family. Holiday Central by Flipboard: Don’t let the holidays stress you out! The Flipboard elves are curating every day until New Year’s to help you conquer this yuletide season in style. Find dishes to serve, gifts to give, and winter wonderlands to explore.